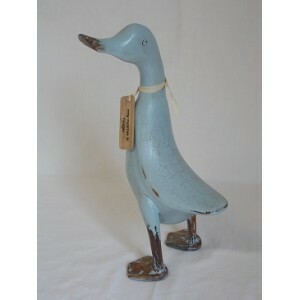 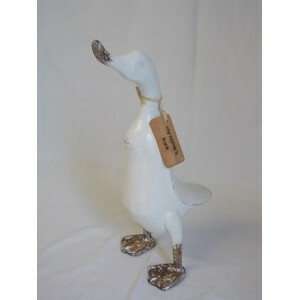 Rustic, hand carved duckling with a distressed paint finish. 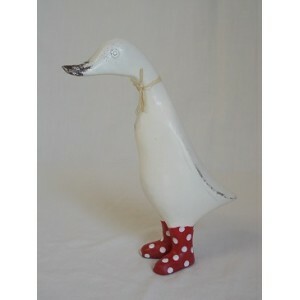 Comes dressed in pink boots with white spots and has it’s own name tag. 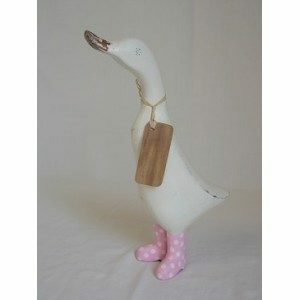 Comes dressed in pink boots with white spots and has it’s own name tag.